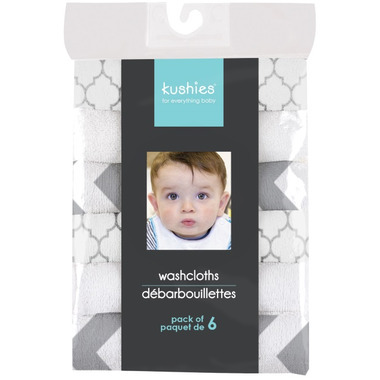 These single ply washcloths, from Kushies, are multipurpose and indispensable. 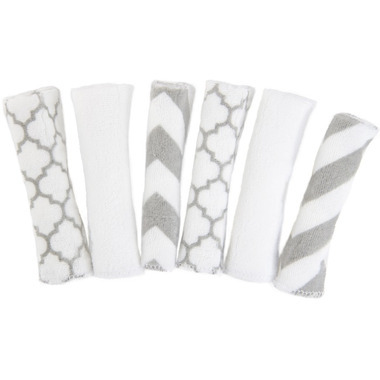 They make a great alternative to baby wipes and are a must have for any household with newborns or toddlers! This pack includes six washcloths in neutral colours. These are ok. Colours not as shown. Feel kind of cheap, the towel is one sided and the opposite is a woven polyester. I guess you get what you pay for. Great face clothes for my little guy! Soft and the perfect size.